Kentucky Equine Research (brought to you by Barastoc) When the final stock horse show of the season is over and done, it is common place for most people to give their horses some well-earned time off. Enjoying a few weeks out in the paddock, rolling in the grass and taking afternoon naps with pasture mates often does wonders for a horse’s mental and physical well-being. It is important that alterations in routine and diet occur as smoothly as possible to maintain optimum health at this time. Moving from Stable to Pasture If your horse has been kept in a stable or yard while actively training and showing, make the switch to pasture gradually. Start with half an hour of grazing two or three times a day, making sure to provide plenty of hay when the horse is in the stable. Increase pasture time in half-hour increments for several days, and then add an hour or two to each grazing session until the horse is able to be out all the time. 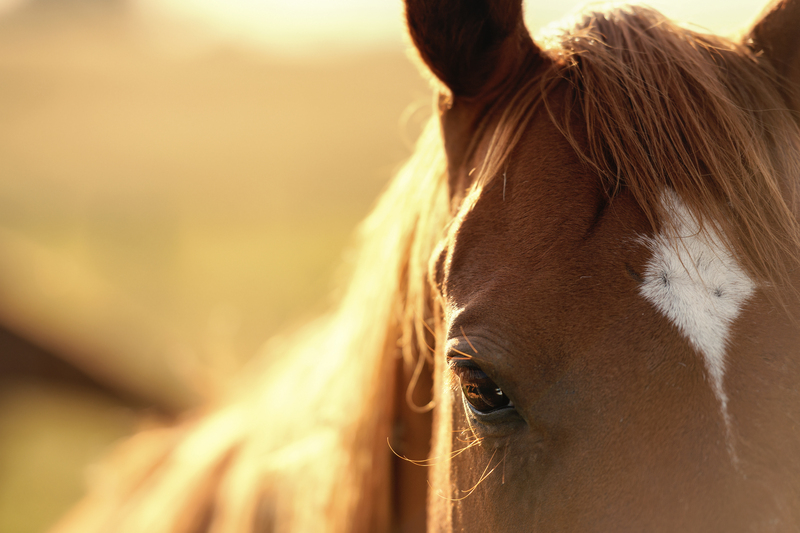 Because of the way the horse’s digestive system works, any horse relocated abruptly from stable to full pasture is at high risk for colic or laminitis. At any time during the shift, if the hooves feel warm to the touch, or the horse shows signs of pain or reluctance to move, put the horse in the stable and contact your veterinarian immediately. Some horses are so sensitive to the sugars in fresh grass that they can never have unlimited access to pasture. These equines can still benefit from a few months of full or partial turnout if they are muzzled or placed in a dry yard with an adequate supply of hay. To offer additional protection while dietary changes are occurring and to protect against the dangers of fresh spring pasture, consider a hindgut buffer such as KERx EquiShure. Feeding To stay in show condition and perform the work he has been asked to do, your horse has probably been given top-quality hay and one or more feedings of moderate to high energy grain, pellets or sweet feed daily. Without the demands of training, he will require the same basic nutrients but will need much less energy. Ideally you can take a week or two to taper his schedule, slowly decreasing both his work and his grain ration. Gradually switching to a lower energy feed, or for any ‘good doers’ a supplement is perfect for supplying essential vitamins and minerals without the calories of a full feed. It is important to continue to give your horse whatever dietary supplements he is accustomed to, such as hoof and joint products or digestive aids. Hoof Care Many people feel it is worthwhile for horses to go barefoot if they are going to be inactive for several months. Whether the horse is shod or barefoot, basic hoof care should not change when the horse is out of work. Hooves should be inspected at least daily, and the schedule of farrier visits should be maintained. Toes tend to grow faster than quarters and heels, so going more than about six weeks between trimmings can change the angle of the pastern, leading to unnecessary strain on the tendons and ligaments in the lower leg. Horses that have therapeutic shoeing for navicular syndrome, laminitis, or other hoof problems may need shoes left on. Discuss with your farrier whether to leave the idle horse shod, to remove only the rear shoes, or to pull all the shoes until the horse returns to work. Horses with poor hoof quality will benefit from a hoof supplement while they are turned out. Other Management Even though they may not be working, daily attention is still important. A light grooming gives you a chance to find and treat injuries or skin conditions like mud fever/greasy heel, Queensland itch or rain scald. Facemasks and grazing muzzles should be removed at least once a day to check for rubbed areas. A regular schedule of de-worming, vaccinations, and dental care should be followed just as though the horse were still in training. A few months of leisure is restful to many equines, but certain classes of horses probably are not good candidates for more than a brief time off work. Young horses just beginning their training may forget most of what they have learned if there is a prolonged lapse in regular work, and older horses sometimes lose so much condition that it is practically impossible to return them to previous levels of fitness. If these animals need a break, consider reducing their workload for a while rather than giving them a long holiday. With minimal attention, your horse can stay healthy and will benefit from a few months off work. He’ll probably come back into training with a fresh attitude, ready to rack up more ribbons after a relaxing break from his demanding performance schedule.